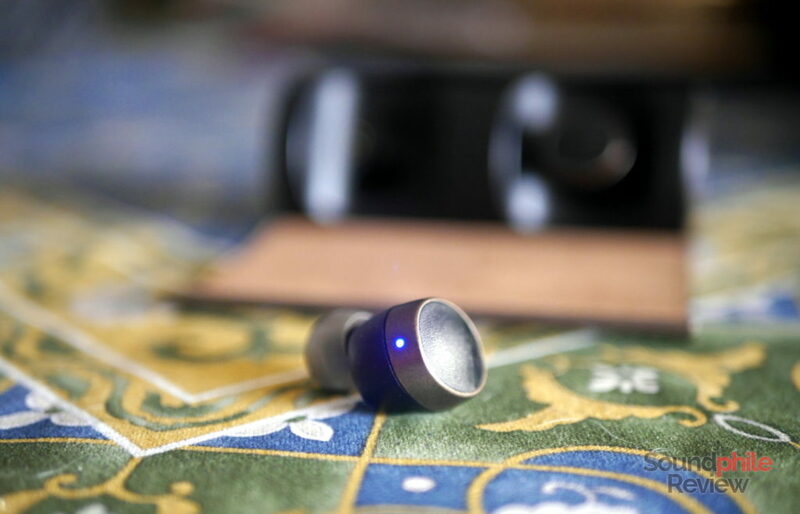 The PaMu Scroll are among the latest earphones to join the “true wireless” craze, and they also came to life thanks to a crowdfunding campaign. Their manufacturer, Padmate, is a name that’s been around for a while now, but has only manufactured products for other brands (as it is/was an ODM, as they’re called). 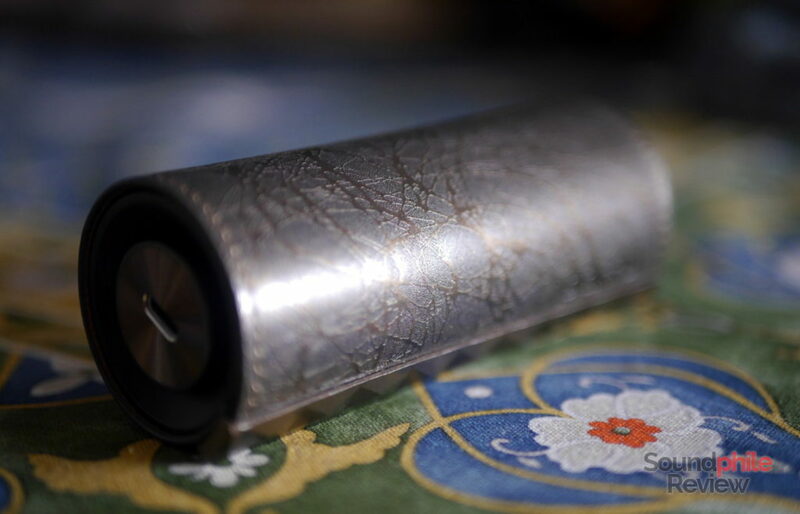 The PaMu Scroll are among their first efforts under their own brand. Alas, it’s not a convincing one, as far as sound quality is concerned. Disclaimer: I would like to thank Flavio, the Italian PR for Padmate, for providing a unit so that I could test the product. More information is available on Padmate’s website. As of publication, PaMu Scroll’s price is $79, with a projected raise to $149 in the future. The PaMu Scroll come in a simple cardboard box that holds the earpieces, the pleather-clad case (which doubles as a charging cradle), three pairs of silicone eartips and a USB to micro-USB cable, together with an instruction manual in what seems like English, Chinese (traditional and simplified) and Korean. I may be mistaken with the two Chinese languages, though – I can’t speak either of them, so please bear with a possible mistake. The lens is not included! Padmate decided to keep it really simple, almost down-to-basics; despite being a premium product, the PaMu Scroll do not have an equivalently premium set of accessories – at least when it comes to the sheer quantity of them. It is possible to add a wireless charging module to the case/cradle, but it has to be bought separately. Again, at the projected price point of $149, I expected better. 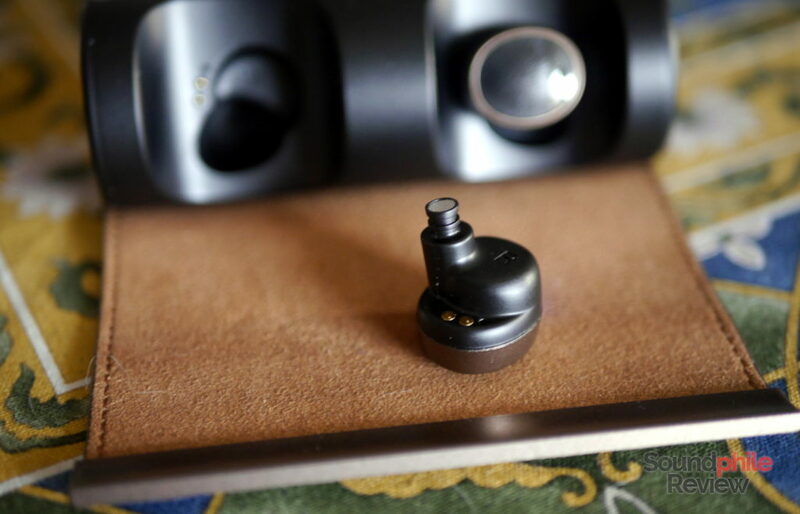 The PaMu Scroll are your run-of-the-mill true wireless earphones without anything really special about their design, as far as the shape of the earpieces is concerned. They’re oval with an angled nozzle and a two-toned faceplate that’s textured like leather with a small stripe in glossy black on one side. 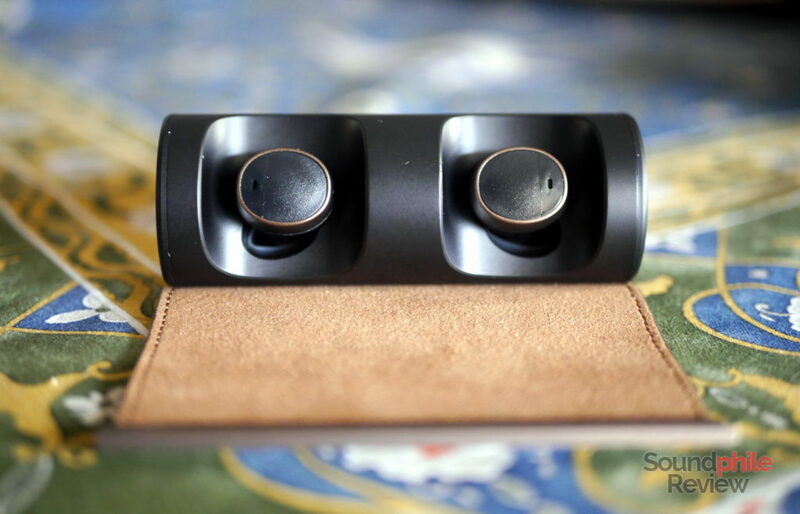 The earpieces are two-toned, being all black with a frame ring in bronze around the top. It is the same colour as the charging case. They’re completely made of plastic. On the top side of each earphone is a status LED that blinks in blue or red: blue means the earpiece is connected, red means it is connected or it is charging, blue and red alternating means it is in pairing mode. This is standard behaviour, so anyone who’s used Bluetooth products will find themselves at ease. Charge happens thanks to two metallic pins on the side that faces the ear. Build quality appears to be rather decent: despite being all-plastic, the earphones seem decently solid and well-built, leaving no margin to doubt regarding their durability. They’re assembled well with seemingly low tolerances, so every piece fits just right in its place. No visible marking or flaws in the cast are present. My only complaint in this regard is the fact that I could often hear a “pop” sound, like that of a stretched plastic film that got hit by something. It appears to be coming from inside the earphones themselves, and I am quite sure it is not an issue of driver flex as it happens even after many minutes of use and without moving the earpiece. The PaMu Scroll are decently comfortable, as their small size allows them to fit in the ears without pressing too much against the inside of the pinnae. Their oval shape also helps by not making them have any edge that could cause discomfort. Isolation is good, despite the all-plastic build and the light weight (indicating light plastic, which is not the best at isolation) that could make one think otherwise. While they’re not super-isolating and a far cry from earphones such as the Shozy x Neo CP or the Tenhz P4 Pro, they’re still sufficiently good to prevent one from having to raise the volume even in noisy situations. The charging case is really unique on multiple perspectives, be it design or use of materials. The latter is the most notable one and influences the former, too, as Padmate chose to use faux leather instead of the usual plastic or metal and this affords the case a unique look. In my case, the pleather has a finish that looks like there are splashes of glossy paint over a matte(r) background – it seems inspired by Pollock… The end result is one I don’t personally like too much, as it seems like there is a layer of plastic over the pleather, but it is in fact really good-looking and original. There are other designs, too, but I did not get to try any of them so I can’t comment on those (though the one with squares is much more appealing to me!). The pleather is not there just for the looks, though, as it goes around the whole case and forms a flap one can open and close thanks to magnets that hold it in place. It’s really different from the usual case made of plastic in Apple AirPods style – one that has been imitated by most manufacturers, in one way or the other. Alas it is big – almost 10 x 4 cm – and it can’t fit into one’s pocket. On the two ends of the case are the micro-USB connector and the status LEDs. It surprised me quite a bit that there is a micro-USB port given this product launched in the last few weeks of 2018, when USB Type-C has become the norm in new devices and micro-USB is luckily left to legacy devices. Although it’s clearly not an issue, as everyone probably has a few micro-USB cables laying around, it’s still something I did not expect on a premium device like this. The four status LEDs power on when the earpieces are placed in their cradles and report the charge status of the battery inside the case (25% for each LED). The PaMu Scroll use Bluetooth 5.0 to connect to sources, but the company does not provide any additional information about available codecs. My guess is they use SBC and AAC. What I like about the PaMu Scroll is that they automatically power on when you take them out of their cradle, and then they power off when you put them back in. Once you take them out, they automatically seek for the last used device and automatically pair with it if it is available. Each earpiece has a touch sensitive area that allows one to control them and playback just by touching the surface. This is both convenient and extremely frustrating: it does not make you push on the earphones, so that you won’t shove them deeper in your ears, but it also means that even accidental touches will trigger (unwanted) actions. Both earpieces offer the same set of instructions (one tap: play/back/answer call/end call; two taps: decline call), but then the left one offers quick access to virtual assistants (Siri, Alexa, Google Assistant) while the right one allows to go to the next track. There’s no way to go back to the previous track. Although the earpieces are touch sensitive, and could therefore be configured in basically any way, they don’t feature any way to adjust volume on the fly without having to touch the source player. A rather questionable choice, if you ask me, given the source could be a few metres away or not convenient to reach. The earphones are IPX6 certified, so they can be used under the rain or even under the shower without worries. They can’t be submerged, though, so wearing them while taking a bath could prove problematic. The company touts 3.5 hours of battery life on a single charge and that figure is somewhat accurate, as I could get around three hours of use. That’s definitely not impressive, but it is in line with expectations from this kind of product. The case allows for three additional charges, bringing the total (theoretical) battery life to 10.5 hours – which are more like 8 to 9 hours. The microphone works decently well in silent environments, but even then the other person hears the voice as distant and not always clear; to counteract this, one needs to speak much louder than usual. This is why environments with lots of noise are not the recommended setting – you will probably be better off using your phone directly, however inconvenient that may be. I tested the PaMu Scroll using a Honor 9 smartphone and a xDuoo X3-II. Almost all music files I listened to were standard-res FLACs. 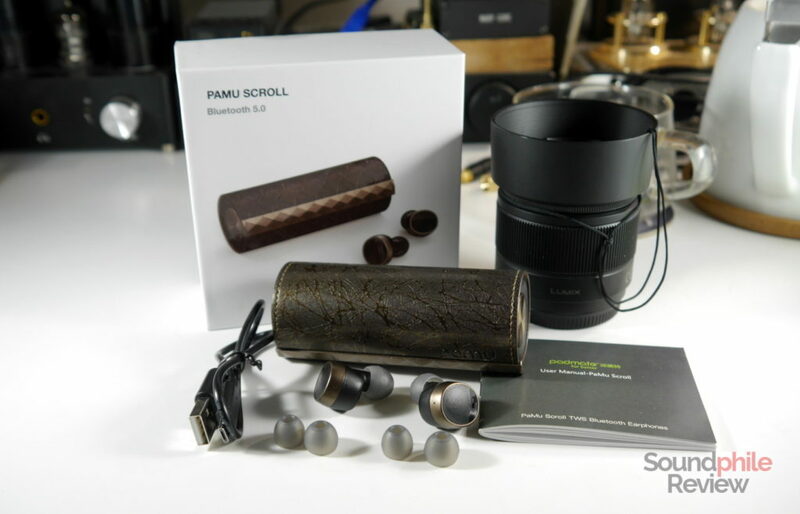 Now, I read many claims about the PaMu Scroll – that they’re as good as wired earphones, that they’re the way “true wireless” should be made, and many other frankly hyperbolic claims. I surely won’t comment on what sound signature should be preferred, though I wrote many times that neutrality should be the aim for both listeners and manufacturers. So I won’t regard the bass-heavy signature as a flaw. But please don’t tell me They’re as good as my wired sets – because they are clearly not. Whether it is detail, instrument separation or any other fundamental parameter, the PaMu Scroll are not in any way comparable to wired products, especially if we pit them against IEMs in the same price bracket. There’s a very loud background hiss that is especially noticeable when one is playing quiet music and/or is in a quiet environment. It is even noticeable while using the earphones aboard Italy’s regional trains, which are (alas) not famous for being quiet and comfortable. In a quiet environment the hiss can be overwhelming and take over music, especially if you listen to music at (relatively) low volume. This hiss caused me a severe headache, so those among you who are sensitive to sounds should watch out for it. It is apparent that there are many limitations intrinsic to such a product, due to size, power and cost. Those limitations are, however, not an excuse to deliver a product that is just not right on the acoustic front. Let me delve a bit into detail to explain why I say so. If we look at the PaMu Scroll from a technical perspective, they’re rather poor. Soundstage is really narrow and congested, as the music is presented as if it was inside the ears and without any spatial definition of the different instruments – they all appear like they’re playing in the same spot, with few differences in position between them. Imaging is also downright terrible, down to the point of there being little differences between channels (case in point: Vessels by Philip Glass with the synthesizer continuously changing channel and appearing almost as if it didn’t move). Instrument separation can be barely considered sufficient: it is often difficult to tell the instruments apart and hear the details of each one. Let’s look at them from an acoustic perspective, instead. The sound signature is unmistakably bass-heavy, with mid-bass taking the lead role and being the most noticeable area. It is also heavily V-shaped, so that mids are recessed and treble is emphasised. The unbalance is apparent, as bass takes the lead and treble is not as prominent. This would not be a problem in normal conditions, as this kind of signature may be enjoyable (as demonstrated by the RHA T20i); the thing is this is not one of those cases, as the quality is not there. Bass is bloated and flabby, with poor detail retrieval that leads to almost no definition. You can tell there’s some bass, but that’s pretty much it. It may appear as exaggerating, but it’s pretty bad: listening to Daft Punk’s Get Lucky reveals the limitations in terms of depth (some notes are skipped entirely! ), detail (which is low: there’s barely any detail in the bass guitar and distinction between the bass and the drums!) and quantity (bass is so invasive it often leaks over mids and overshadows them). It’s fun, so listening to Korn while on-the-go can be quite immersive and funny, but it doesn’t get much further than that. Using the aforementioned Get Lucky to test midrange, it apparently is very recessed and suffocated by bass, with voices that appear behind the bass guitar. On top of this quantity issue, there is an issue with quality, too: instrument separation, as I mentioned previously, is rather poor and leads to instruments not being audible at all. This is the case with the fingers snapping, which I could not tell apart from the hands clapping (and even those were not easily distinguishable from the rest!). Treble is probably the most disappointing section, as it is as emphasised as it is poorly detailed. It comes out on top of midrange and slightly behind bass, but it has really little detail and appears mostly as a muddled-up hodgepodge of indistinct instruments. And I’m not talking about hearing the finest details of a brush stroke on a cymbal, I am talking about hearing different cymbal crashes as individual crashes! As I mentioned, listening to Korn is quite satisfactory. 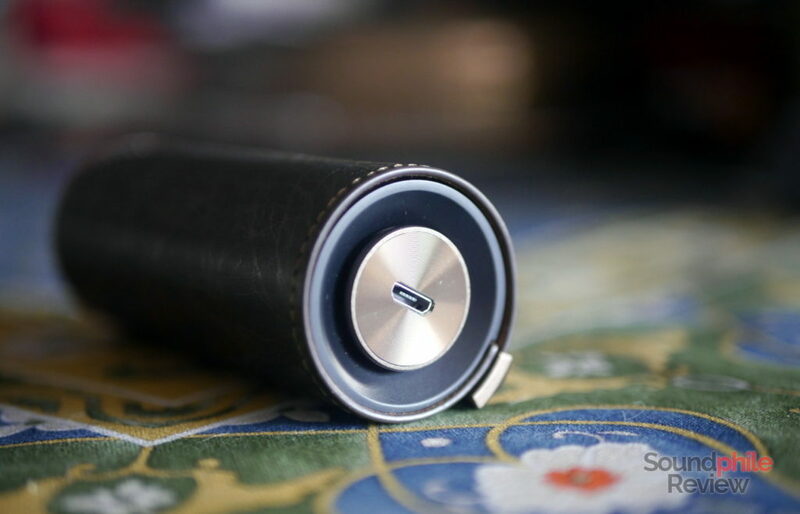 I would say that the PaMu Scroll are a good option if you are listening to lo-fi, poorly produced music with no real pretension of sound quality. These are not audiophile material in any way – $5 Monk Plus are better from a sound quality standpoint. There’s no nice way to say this: the PaMu Scroll are not good headphones if you look at them from an acoustic perspective. They would be acceptable at $39, the price they launched at on the Indiegogo crowdfunding campaign, but at $79 they are downright bad (not to speak about their “real” price, $149!). Mind you, I am talking strictly from the perspective of someone who wants good-sounding “true wireless” earphones. 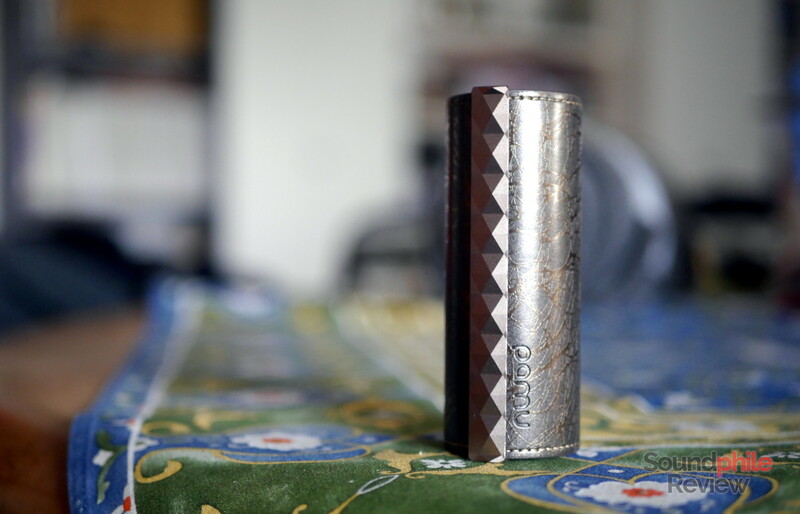 If we look at the PaMu Scroll’s build quality, design, battery life or functionality, they’re not disappointing at all (though the case is much too large). But their acoustic performance is underwhelming and disappointing at best, and that’s what counts to me as an audiophile. Rejected. Finally someone who tested the Pamuscroll and feel exactly the same I did. Luckily I buyed them for $79 but even that was too much money for such bad headphones. And even worse and was not mentioned buy you. If they sit in the charging case for some time they are sucking it empty, so that means that they are re-charging themselves causing a lot of charging cycles and in the end the battery dies very quickly. Lots of people reported after short periods of usage battery life went down to a few minutes. No wonder given the extra recharge cycles. Also people from Crowfunding are reporting bad build quality. Lots of them broke after a few months. Counting in the bad sound quality. The product wouldn’t even be worth the $39 you suggested. In my opinion every dollar you spend on it is wasted.